(Asheville, NC) – Green Man Brewery, which has been a staple in the Asheville craft beer scene since its conception in 1997, finally has a canned offering available. 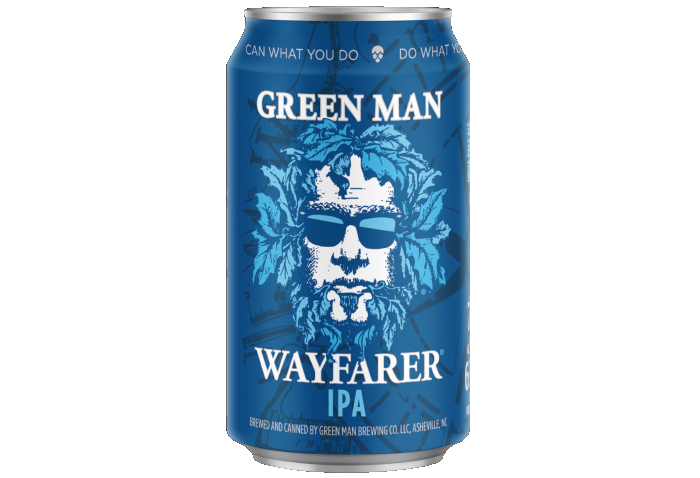 Wayfarer IPA is one of Green Man’s most popular rotating offerings that has been offered in 12 oz. bottles in the past. This Citra-forward IPA will now be available in 12 oz. can 6-packs. Head brewer John Stuart formulated this IPA with loads of flavorful aroma hops and a pale malt bill. This allows for the Citra and Simcoe hops used in the dry-hop to shine through, creating bright notes of citrusy hops and a pleasant bitter finish. Find Wayfarer cans this Spring in select markets in North Carolina, South Carolina, Tennesse and Florida.